When we met Jaime Lannister in the first season of Game of Thrones, he was known as the Kingslayer. A smirking and egotistic blonde bad boy, he was viewed with distrust by many of the show's more honorable characters for his role in the assassination of the Mad King. He was one of the kingdom's most gifted swordsman, but he wasn't to be treated as loyal. As he later revealed to Brienne of Tarth, his motivations for stabbing the back were not as selfish as they appeared: He was trying to stop the king from murdering thousands with wildfire. He made the difficult choice and lived with the consequences. It was hard not to consider Jaime's complicated past in the finale, "The Dragon and the Wolf," when he yet again committed an act of treason against a royal commander. Only, in this case, he wasn't just betraying and walking away from a power-drunk king. 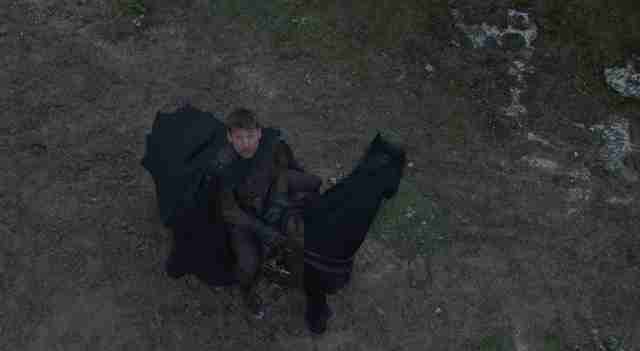 He was turning his back on his own sister Cersei, the mother of his children and the love of his life. In an episode filled with flash-back heavy info-dumps and impressive blockbuster-level special effects, the scene between Cersei and Jaime was a small moment of family confrontation that still had the power to make you gasp. It also raised a difficult question: Could the title "Queenslayer" be somewhere in his future? That will be one of the more important questions heading into Season 8 and the final seven batch of episodes. While Jaime had a close, flame-kissed brush with death earlier this season, he survived the finale and now appears to be one of the most important players in what Jon Snow has taken to calling "The Great War." Let's take a closer look at how he arrived in this precarious position. There was a real possibility that the scene at the dragon pit that opened "The Dragon and The Wolf" could have devolved into yet another violent trap like what we saw in Season 6's finale "The Winds of Winter." In that episode, Cersei brutally eliminated her enemies by trapping them in the Great Sept and burning them alive with great green plumes of wildfire. David Benioff and D.B. Weiss were clearly wary of repeating themselves with this finale, so they devised a method of betrayal for Cersei that was less explosive but more intimate. This time she didn't take out a rival family. She instead turned her back on her own brother. When Cersei and Jamie have their showdown, it came right on the heels of the similarly charged exchange between her and Tyrion, who was put in the unfortunate position of having to negotiate with his his sister. Both scenes showed the Queen at the peak of her manipulative powers, using her unborn child as a way to toy with Tyrion and Jaime's expectations. Like her father Tywin Lannister, she's become a master at telling different parties just enough information to get them to follow her orders. Only it doesn't work on Jaime, who appears genuinely terrified of the wight and of Dany's powerful dragons. "Our child will never be born if the Dead come South," he tells Cersei when she suggests that they should simply let the armies in the North fight the White Walkers and deplenish their resources. He thinks she's being naive and failing to see the big picture. She thinks he's failing to imagine the true scope of her power. Again, this scene really let the show do what it's always been best at: Letting two skilled actors face off in a one-on-one conversation about the ethics of their actions. Throughout the scene, you could see the rippling currents of pain in Jamie's face. But the thing that perhaps most wounded Jamie was that he wasn't let in on Cersei's plan with Euron Greyjoy and the Iron Bank. 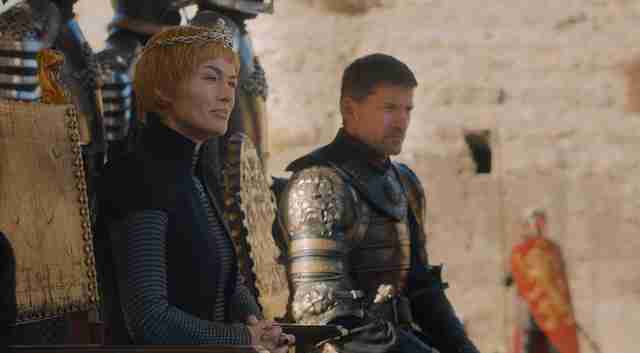 "It's one thing to say Cersei played a trick on her enemies, but she didn't confide in him," said David Benioff in the show's behind the scenes segment. "He's realizing that his loyalty to her is not reflected in her loyalty to him. I think that's absolutely what informs his decision to leave King's Landing." Where does Jaime go from here? 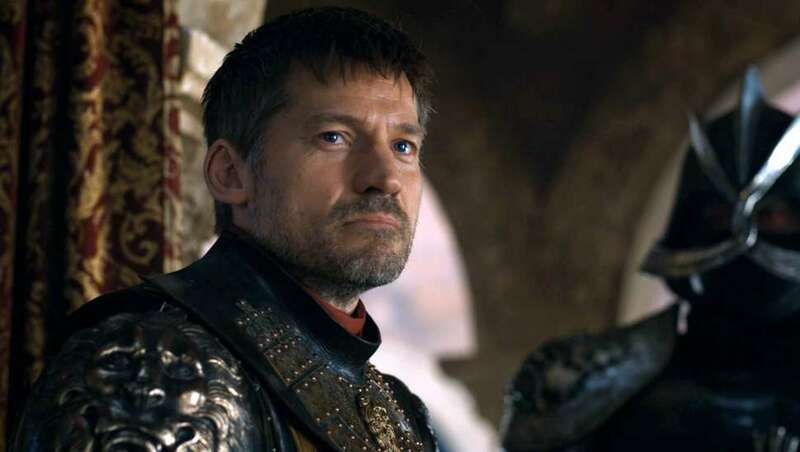 As his sister conspires with the treacherous Euron Greyjoy, Jaime must seek our new allies -- perhaps Jon, Dany, his brother Tyrion, Bron, or even Brienne -- to help him carry out his new mission. He told Cersei that he'd made a promise to Dany and Jon that he had no intention of betraying, which makes it sound like he'd try to bring the Lannister army with him to fight in the North. But our last image of him this season was a solitary and contemplative one, an almost painterly composition of considerable depth. We saw the brave knight alone on his horse. Covering his golden hand with a black glove. Gazing up at the sky as snow falls. The other element to consider when thinking about Jaime's future: the Valonqar theory. Many fans have long believed that Jaime will be the one to kill Cersei because of a prophecy Cersei received from a wood witch named Maggy the Frog. Here's the most important (and relevant) part of her prediction: "And when your tears have drowned you, the valonqar shall wrap his hands about your pale white throat and choke the life from you." While it's possible that Tyrion could be the "valonqar," which is the High Valyrian word for "little brother," there's a popular theory that it's referring to Jaime, Cersei younger twin by mere seconds. At various points in the run of Game of Thrones, there have been narrative paths that some book-readers are convinced will come to fruition but never pass, and it's certainly possible that Benioff and Weiss will swerve from following through on Jamie killing Cersei. Afterall, for a moment last night, it looked like Cersei might order The Mountain to lop off Jamie's head and end the drama forever. But, as it barrels towards its conclusion, Game of Thrones has become much more comfortable with fulfilling fan expectations rather than consistently dashing them. A deadly confrontation between Jaime and Cersei no longer feels like a theory or a prophecy. It feels inevitable.